When, Oh When WDW, Will You Tell Us? WHAT’S COMING TO THE STUDIOS!? The short answer is: We Don’t Know! The Walt Disney company has not shared any plans for new attractions, major refurbishments, or anything else. We know that some studio elite toured the park over the past few months. We assume that there will be an expansion to Pixar Place and possibly the addition of something Star Wars related. And, how could we forget, the rumor of a name change to Disney’s Hollywood Adventure? Keep in mind that nothing has been confirmed, or denied, by Disney! This tactic, while potentially wise, drives Disney fans, like myself, a bit crazy! And, if I had to guess, nothing major will be announced until Spring at the earliest. But, I suspect any BIG news will have to wait until D23 next August. Wow! That’s a long time! For now, we will just have to sit back and take a wait and see stance. So, until next time, may you have a Blessed and Magical Day, my friends!! Author threestrandswdwPosted on 10/25/2014 Categories Disney Destinations, Disney News, Disney World Planning, Disney World Trip Planning, Disney's Hollywood Studios, Walt Disney World NewsTags Sorcerer's HatLeave a comment on When, Oh When WDW, Will You Tell Us? Who Needs To Plan For a Trip to WDW? One of the most asked questions I get from people is “do I really need to plan for a trip to Walt Disney World?” In a quick answer, yes! Let’s explore this a little deeper, because while the answer is ‘yes’, there are different levels of planning. The first type of planner to look at is the Uber-Planner! This is the person who has to have EVERYTHING planned to the second! They may begin their initial planning anywhere between one and two years in advance of their trip. They begin looking at dates, figuring out potential resorts, looking at crowd calendars just to get an ‘idea’ of what the next trip could look like. They will probably even make the initial resort reservation to make it real! At the one year mark, they will refine their crowd numbers, and begin planning meals, parks, and attractions for each day. There will be little room for changes, as long as Disney World doesn’t mess things up with their scheduling. The second type is what I like to call the thumbnail sketch planner! This person just wants to know a few of the basics! They will look at when to travel, where to stay, and basic days in parks. They may book the three allowed Fastpass+s they are allowed per day, but not really go much beyond that stage in their planning. Meals will likely be just quick service, or a potential walk up, on the fly. And, the remainder of each day will be relaxed, and allow time to take in some of the detail. They may even take some time to search out a Hidden Mickey or two! Finally, we have the ”I don’t need a plan” planner! They may book a room three months out, put together one or two special meals, if they want them. But, otherwise, there is no specific plan to their trip. This planner may choose to not use Fastpass in any form! They may choose to just walk-on as many rides and attractions as they can in a completely open daytime schedule. They will catch a meal if they are hungry, with no plans as to where or when! And, there may even be days when they choose NOT to go to a park and just make use of the resort amenities. So, what kind of planner do YOU need to be? It really depends on the needs of you and your family! Special events at WDW require advanced planning. And, the farther out, the better chances you have of making that event special! Remember, Advanced Dining Reservations (including tours, dessert parties, etc.) open up at or about the 180 day point. If you are wanting to do any Character Dining in the parks, this is very important to remember! And, as a reminder, if you are staying at a Disney-Owned Resort, you can make your dining reservations at 180 plus 10 days into your vacation. 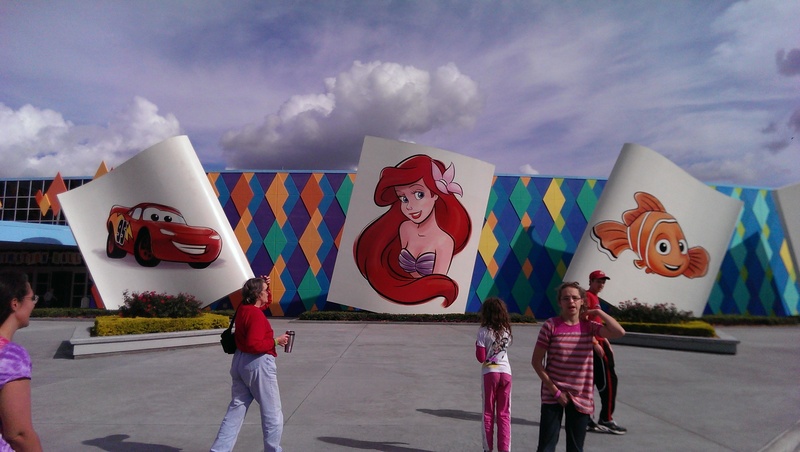 Author threestrandswdwPosted on 10/18/2014 Categories Disney Destinations, Disney World Trip Planning, Walt Disney World Travel1 Comment on Who Needs To Plan For a Trip to WDW? One of the best finds of my last trip was the Citrus Swirl! You can find this refreshing snack at the Sunshine Tree Terrace, which is kind of behind Aladdin’s Magic Carpets. 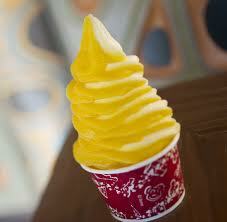 I am not a big pineapple fan, so the Citrus Swirl seemed like a good alternative, and it was!! I had two of them within 20 minutes of each other, and I could have practically made a meal out of them! The flavor is very creamy, and rich in orange flavor. And, it’s not badly priced, for a WDW snack. Just look for the Orange Bird on the sign. You can check out the menu at https://disneyworld.disney.go.com/dining/magic-kingdom/sunshine-tree-terrace/menus/. Thanks for reading! Have a Blessed and Magical Day! 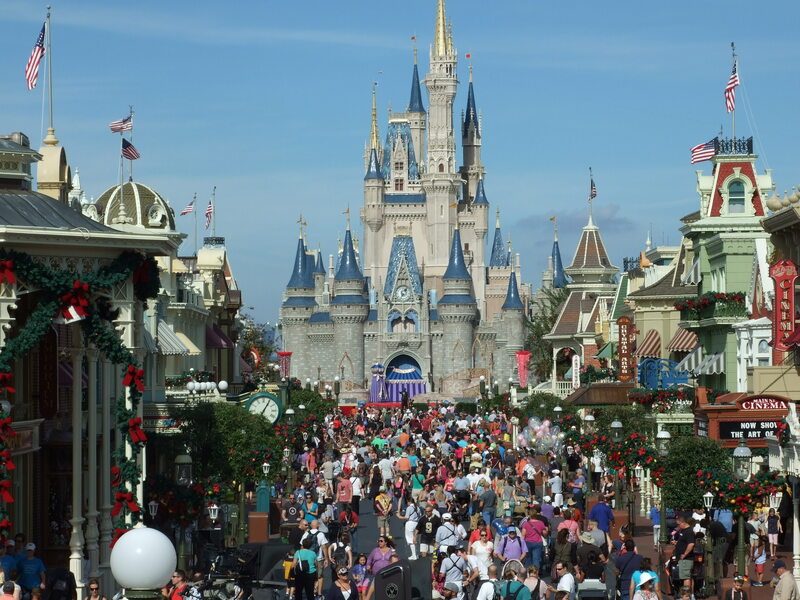 What Is It About Walt Disney World? With all of the places we could choose to take a vacation, why do we continue to visit Walt Disney World? The reasons can be varied, and many time very simple! My love for the Disney product began when I was a kid watching “The Wonderful World of Color” on Sunday evenings before getting ready for school the next day, and going to bed. I loved the stories, the visuals, and the commentary by Walt Disney himself! If they ever decide to run the shows again, you would see in color what was in Black and White when originally aired. Walt was a forward thinking man, and always working to stay ahead of the curve. When I first heard of Walt Disney World, I would have been about 11 years old at the time, I wanted to go, but my parents said there was no way we could afford the trip. It wasn’t until I was 21, that I made my first entry into The Magic Kingdom! And, as an added bonus, the next day we went to the newly opened, 2 day old, EPCOT Center! And, all I could say was WOW! Walt Disney World, as a whole, is an attraction! It attracts people from all walks of life! It pulls people from all around the world to spend their vacation time, and money! And, once we are exposed to the magic, many of us return time and time again. Personally, there are only a few other places in the world I want to see, and they happen to also be Disney Destinations! The anticipation begins the first day you decide to make your trip, and continues beyond your last day of your vacation. When you decide to go, will affect how much time you have to nurture your excitement. I typically plan 9 months to 1.5 years in advance. And, that is determined by the time of year I plan to visit! Spring breaks, 4th of July, and Christmas are times that may require more advanced planning because of the heavy crowds. What is hardest is to have to wait so long between visits to WDW! But, thanks to the digital age there are ways to soften the heartache! One way, is to listen to WDW Podcasts, such as the Disney Parks Podcast, to keep up on changes, planning tips, and even some Disney World “celebrities” who may drop by for a visit! You can also make use of YouTube to watch some of your favorite attractions, jog good memories, or just forget about real life for a moment or two. There are WDW specific Facebook groups, many dialog boards, and other social media outlets to talk and share your experiences and questions about Walt Disney World! But, the best way I know to soften the blow between trips, is to begin planning the next one. Even if you don’t have a specific date to travel, start talking about what resort you may want to try? When do you want to go? Are there any special events you may want to try to include? Do you want to celebrate a special occasion? Then, start asking questions in Facebook, or other source. Send questions to Disney Parks Podcast, or other resource. Or, contact a Disney Specialized travel agent! Planning is a big part of the fun for the Disney enthusiast! Almost as much fun as the trip, itself…okay, maybe not! And, there are many who are content with just visiting anything Disney for their vacation! Are you one of us? You will be…You WILL be! Matthew Wallace is a Travel Planner for Magical Starr Travel, living in Ohio, and specializing in Disney Destinations! You can contact Matthew by email at matthew@magicalstartravel.com or by calling 888-534-3569 ext 1. Visit our website at www.magicalstartravel.com. Author threestrandswdwPosted on 10/10/2014 Categories Disney Destinations, Disney memories, Disney World Trip Planning, EPCOT, Magic Kingdom Park, Walt Disney World Travel1 Comment on What Is It About Walt Disney World? You Have Arrived…Walt Disney World! You’ve spent endless hours planning your vacation at Walt Disney World in Orlando! You’ve checked, double-checked, and triple-checked your lists! There are as many different ways to start your time at WDW, as there are people who visit! Here are a couple of my favorite ways! LET’S GO!! Whether flying or driving, when you plan to arrive is key to determining what your first day might look like. One if my favorite ways to begin my time at WDW, is to first make sure I arrive as early as possible. Once I have checked into my resort, and hopefully my room, I tend to grab a quick bite at the resort food court and head for a bus stop! My first stop…MAGIC KINGDOM! If this all works out, I will be in the Magic Kingdom around noon or shortly after. I have successfully done this on at least 4 occasions! This gives me plenty of time to get to a few of my traditional attractions and take in a bit of the surroundings. My first ride? Typically, It’s A Small World! I usually stop here on my way to The Haunted Mansion, and I never regret the choice. Small World is full of classic Disney Imagineering designs. Sure, the music can be a bit repetitive, but it’s part of the charm. Second stop is, as mentioned above, The Haunted Mansion! I still can’t tell what part of the stretch room is “actually stretching”…hahahaha. But, again, it is a classic WDW attraction and it helps get me into a magical frame of mind! Another way to begin my stay, done twice, is to just enjoy the resort! 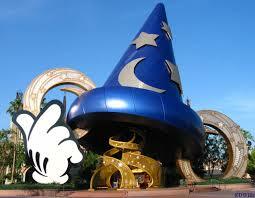 It is difficult for me to spend the kind of money required for a WDW resort and NOT get to see some of it! So, if my arrival is later than 10am, I tend to make use of the resort pool, grounds, food court, and even just stay in the room! After all, the rooms are nice! On our last visit, we arrived at the resort, Disney’s Art of Animation Resort, about 10am, checked into our room, and my girls and I grabbed a bus to Downtown Disney, and the Earl of Sandwich! I had a coupon to use for my birthday, and had always heard how good the food was here. So, off we went! The bus ride wasn’t bad and gave us a chance to see a little of Saratoga Springs along the way! My oldest daughter loved that! 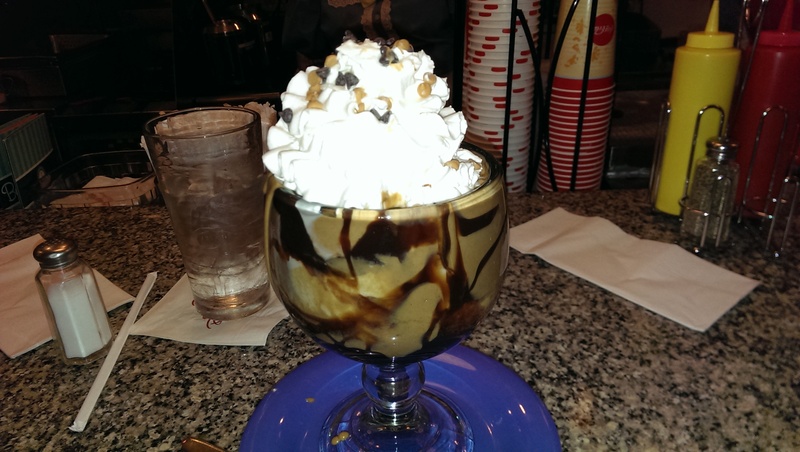 We then went back to the resort, walked around, used the pool a bit, and then we drove over to Disney’s Beach Club Resort for a taste of Beaches and Cream! May I say, the No Way Jose’ was YUMMY! We walked around the Boardwalk for a short time, before heading back to AOA for a good night’s sleep in preparation for an all out assault on The Magic Kingdom. I can recommend taking the first day to relax and take in a few things outside of the parks. There is a lot to see, and we don’t always take the time to enjoy these areas. But, don’t give up on the idea of hitting a park, if you can be there by early afternoon, either. Thanks for reading and have a Blessed and Magical Day!! Author threestrandswdwPosted on 10/09/2014 10/09/2014 Categories Disney Destinations, Disney World Trip Planning, Disney's Beach Club Resort, Downtown Disney, Haunted Mansion, Magic Kingdom Park, Walt Disney WorldTags Earl of Sandwich WDWLeave a comment on You Have Arrived…Walt Disney World!